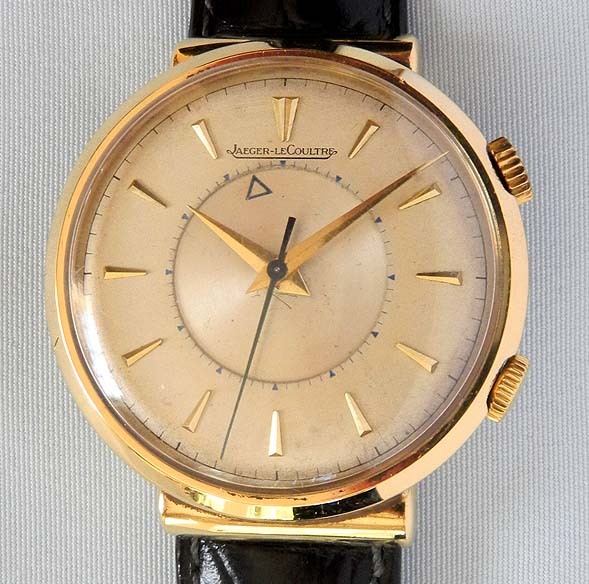 Fine Swiss Jaeger-LeCoultre 18K gold Memovox vintage alarm wrist watch circa 1950. 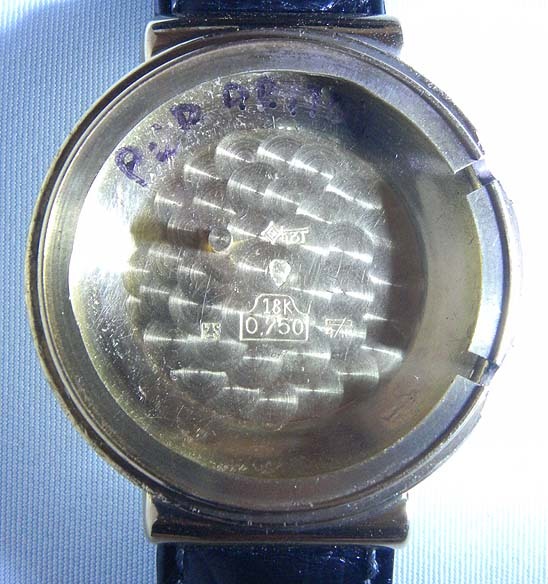 Original cream color silver dial with applied gold markings and central alarm indicator. Hooded lugs. 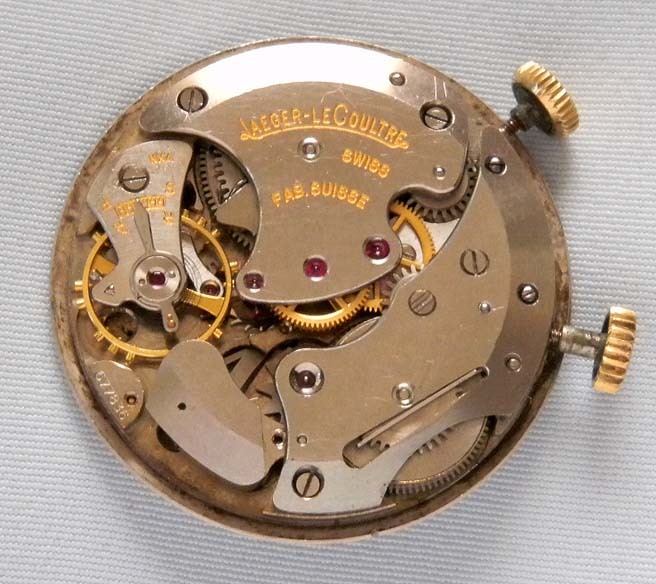 Rhodium 17 jewel movement. 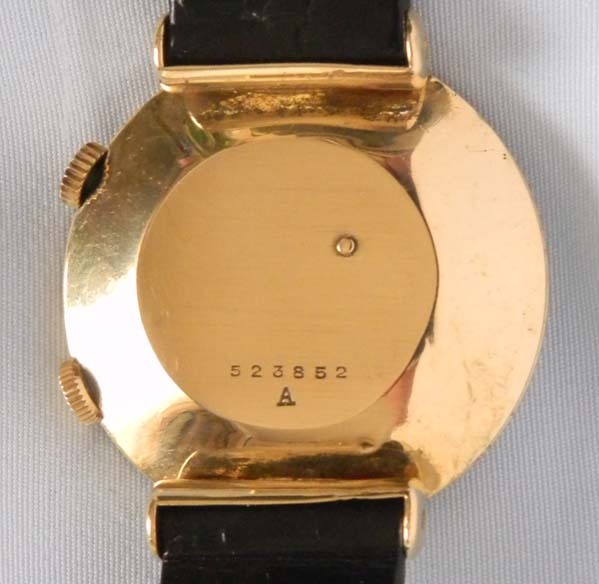 These watches are rarely found in 18K and with hooded lugs. Particularly nice example.